Modern dentistry offers a smart, effective, reliable, safe and discreet teeth straightening procedure called Invisalign. This modern system uses a series of removable and tailor-made aligners, which fits only your teeth. Invisalign is the latest and most modern teeth straightening system which includes a series of easily removable and customised aligners. At Shirley Park Dental Surgery, we’ve an impressive track record in successful handling of Invisalign cases. Invisalign treatment under the experienced hands of our orthodontic specialist is reputed to be safe and comfortable. The treatment is so discreet that no one – other than your family – ever gets to know that you’re undergoing the cutting-edge teeth straightening procedure. The discreet braces that we offer are easily removable, allowing you to brush and floss freely as well as eat whatever you want. You can slip on the transparent braces once you’re through with your meal or routine dental hygiene regimen. The traditional fixed braces deny such convenience and flexibility. At our Invisalign clinic in South Croydon, we use the 3D software provided by the system to show how your teeth are likely to appear both during and after the treatment. How the Invisalign system works? 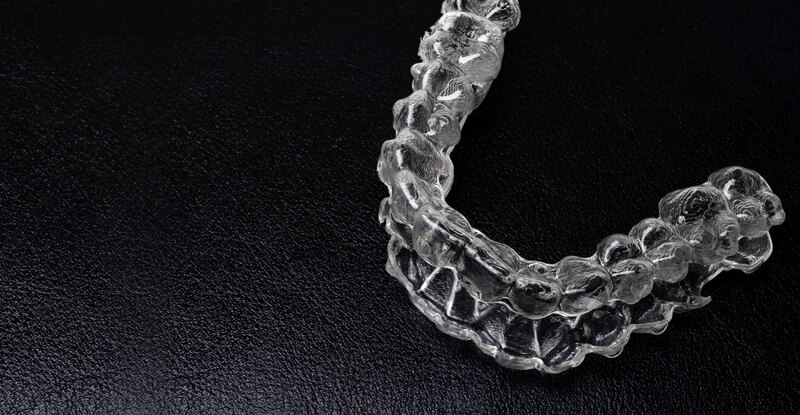 First a thorough assessment is done to check if your teeth can be straightened with Invisalign. Once you’re found to be eligible, a personalised treatment plan is prepared based on the 3D Invisalign software. This enables you to see the results even before the treatment starts. 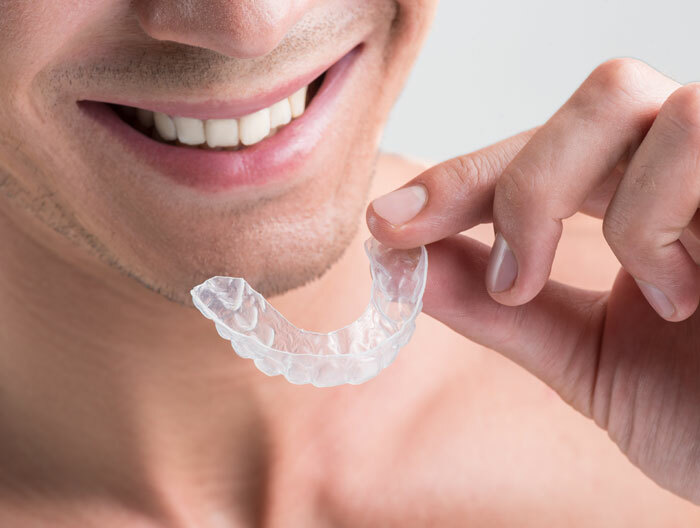 A series of customised aligners are prepared that fit perfectly in your mouth. You wear each aligner for approximately 2 weeks before moving on to the next one in the series. This facilitates your teeth movement, slowly but surely. You’ve to visit our Invisalign clinic every 6 to 8 weeks to assess the treatment progress. Once the teeth have reached their final position, you have to wear a retainer to keep them there. How will you take care of your Invisalign aligners? It is important to keep your Invisalign aligners clean to avoid the build-up of harmful bacteria. These aligners also catch up stains very easily. As a result, they don’t remain invisible inside your mouth any more. Therefore, you must take care of them as much as possible. Here’re some tips to keep them clean and discreet. Soak them in a solution of lukewarm water and a mild anti-bacterial soap for about 15 minutes once every fortnight. Avoid using any harsh chemicals as they may damage the retainers. Gently scrub the aligner with a soft-bristled toothbrush. Never use toothpastes or mouthwashes to wash the aligners – these substances make more damage than actually cleaning them. Always keep the aligners in a box to protect them from damage. This way, you won’t lose them when you take them out from your mouth. Brush your teeth every time after a meal or before slipping on the aligners to minimise the bacteria build-up in the mouth. Avoid drinking beverages that stain easily like coffee, red wine and tea when wearing the aligners. Shirley Park Dental Surgery charges reasonable cost for Invisalign teeth straightening. However, the exact price depends on various factors and varies from case to case. Our orthodontist will assess your teeth and compute your Invisalign treatment cost after the initial consultation. Please feel free to contact us for more details.